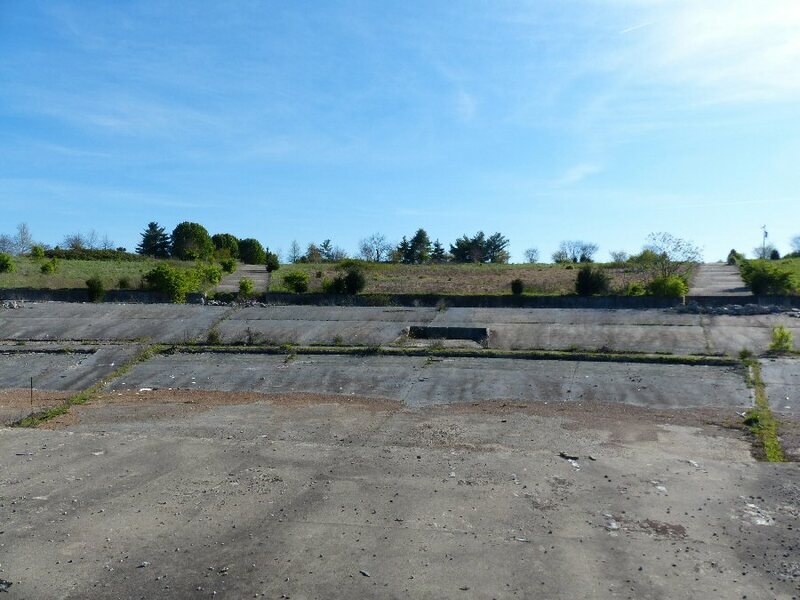 Long before there was the multi-million dollar outdoor Ascend Amphitheater on the banks of the Cumberland River in downtown Nashville there was a much more rustic, rugged and rural venue 12 miles south of the city in Antioch that was hallowed ground for thousands of music fans and dozens of world-famous rock bands. Can the ruins of Antioch rise again? 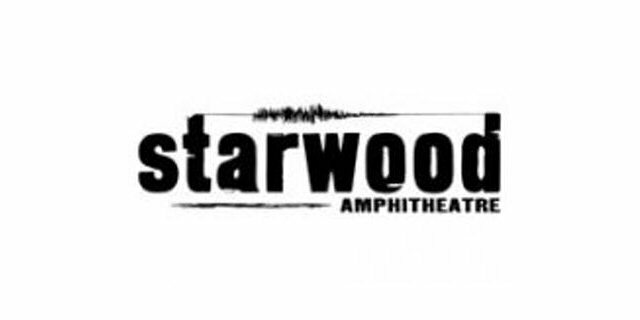 The Starwood Amphitheatre was the primary outdoor music destination in the Nashville, Tennessee area from 1986 to 2006. It had a maximum capacity of 17,137 of seats distributed between a large bowl-shaped lawn and a reserved section protected from the elements by a large half-shell roof. 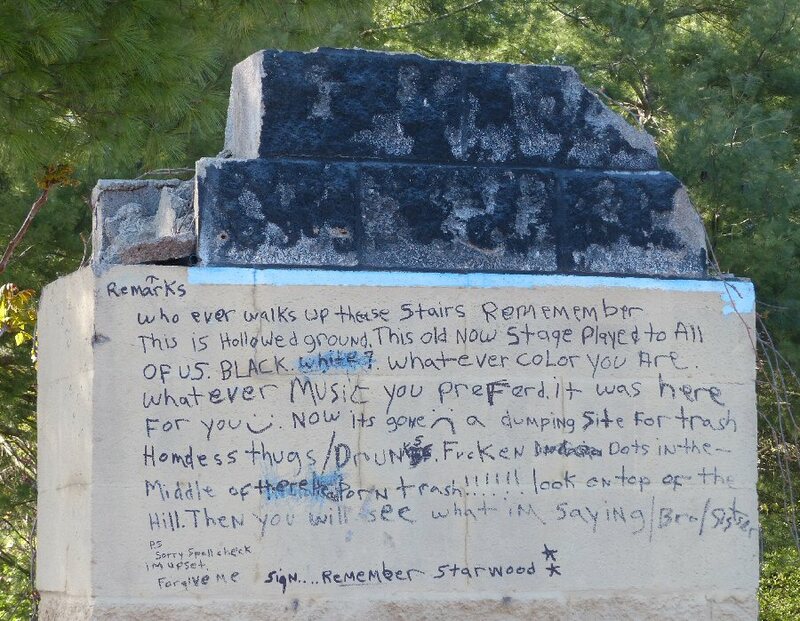 Many of the world’s greatest acts performed on the now defunct and abandoned stage that still sits in ruins in Antioch. Several of them would return year after year to play for the knowledgeable and appreciative Music City audiences. Lamentations left for a historic place and its hallowed ground. Aerosmith, Alabama, Alanis Morissette, Alice Cooper, Allman Brothers Band, Annie Lennox, Bad Company, Barry Manilow, Beach Boys, Billy Joel, Black Crowes, Black Label Society, Black Sabbath, Blue Öyster Cult, Bo Diddley, Bob Dylan, Bon Jovi, Bonnie Raitt, Boston, Britney Spears, Brooks & Dunn, Carl Perkins, Charlie Daniels Band, Cheap Trick, Chicago, Christina Aguilera, Coldplay, Counting Crows, Crosby, Stills & Nash, Dave Matthews Band, David Lee Roth, Deep Purple, Def Leppard, Dio, Doobie Brothers, Dream Theater, Duran Duran, Dwight Yoakam, Eddie Rabbitt, Eric Clapton, Fleetwood Mac, Foo Fighters, Foreigner, George Thorogood & The Destroyers, Guns N’ Roses, Hank Williams, Jr., Hanson, Heart, Hootie & the Blowfish, Hot Tuna, INXS, Iron Maiden, Jackson Browne, James Taylor, Jefferson Airplane, Jethro Tull, Jimmy Buffett, John Fogerty, John Mayer, John Mellencamp, Journey, Judas Priest, Kansas, Keith Urban, Kid Rock, King Crimson, KISS, Lenny Kravitz, Linda Ronstadt, Live, Loverboy, Lucinda Williams, Lyle Lovett, Lynyrd Skynyrd, Maroon 5, Matchbox Twenty, Megadeth, Metallica, Michael Bolton, Michael McDonald, Montgomery Gentry, Moody Blues, Mötley Crüe, Motörhead, Muddy Waters, No Doubt, Ozzy Osbourne, Pat Benatar, Paul Simon, Pearl Jam, Phil Collins, Phish, Ray Charles, Reba McEntire, Red Hot Chili Peppers, REO Speedwagon, Rod Stewart, Roger Waters, Rush, Sammy Hagar, Santana, Sarah McLachlan, Scorpions, Shania Twain, Squeeze, Steely Dan, Steve Miller Band, Steve Winwood, Stevie Nicks, Stevie Ray Vaughan, Sting, Stone Temple Pilots, Styx, Ted Nugent, The B-52s, The Cult, The Eagles, The Oak Ridge Boys, The Wallflowers, Tina Turner, Toby Keith, Tom Petty and the Heartbreakers, Travis Tritt, Trixter, Van Halen, Velvet Revolver, Whitney Houston, Willie Nelson, YES and ZZ Top. A view from what’s left of the Starwood stage 12 miles south of Nashville. The music that emanated from just beyond Murfreesboro Pike was legendary but so were the parking issues and the traffic tie-ups that events at Starwood were known to cause. The venue was set a few miles off of the nearest Interstate and was serviced by only a couple of four-lane roads in the suburbs. But, that doesn’t mean another musical Mecca couldn’t rise in its place if done correctly. Antioch has notoriously fallen on hard times in the past decade but anyone residing in the region will tell you that it’s coming back hard and fast. 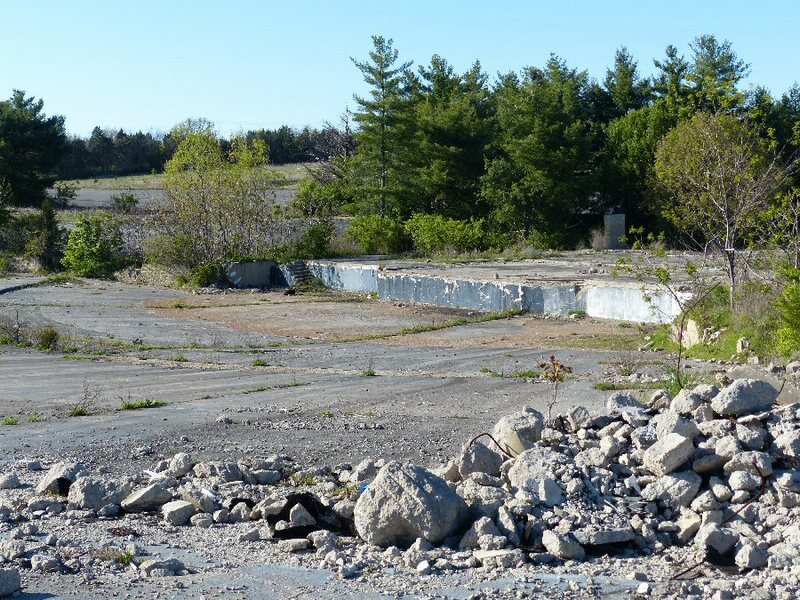 As recently as 2011 there was a group planning to return music to the site but to date the only ones making a joyous noise on the grounds are all the birds singing as nature retakes the land. It’s easy to see that the property could serve the music market in South Nashville. 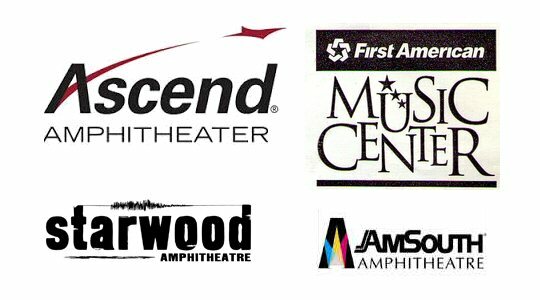 Perhaps a year-round 5,000 seat multi-use performing arts complex called the “Starwood Center” could rise on the site. There is ample space for an undertaking of this size and a reduction in capacity would alleviate traffic concerns moving forward. A museum featuring the venue’s history along with a walking trail complete with musical monuments could honor the past while paving the way for a revival in Antioch. Throw in a music education center and the spirit of Starwood could return to serve the community. Now, who’s ready to make it happen?!? Will there be another incarnation?